LG Electronics has signed a deal with YouTube to develop LG mobile phones with built in YouTube video services. 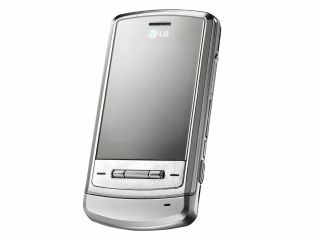 LG YouTube-enabled mobiles will enable users to view and share YouTube video clips and upload their own video content. LG has said it will give its YouTube handsets a new user interface to make it easy to access the service and upload videos. LG is to launch its YouTube supporting mobile phone worldwide by the end of this year, according to a statement from the South Korean manufacturer. The LG agreement to develop a YouTube mobile phone extends an existing relationship with YouTube's parent company Google . The two companies agreed a cooperation deal in March. The announcement on the YouTube phone comes shortly after LG released its LG KS10, a mobile phone that has software enabling fast access to Google services. It is expected that an LG phone carrying the YouTube service will also be a 3G model, almost certainly with HSDPA/HSUPA high-speed mobile broadband capability. LG has been working closely with Google to optimise its search and other services on LG mobile phones, and the YouTube deal extends this cooperation further. Google bought YouTube last year in a $1.65 billion (£0.8 billion) deal.